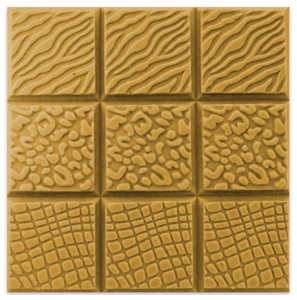 Our Tray Animal Prints Milky Way Soap Mold makes you feel like you're on a safari with exotic zebra, leopard, and alligator prints. This mold is great for anyone who loves animals or enjoys giving their soaps wild look. Soap Bar Dimensions: 2.625" x 2.635" x 1.25"
Notify me when Tray Animal Prints Soap Mold is in stock.